+48 switch turns phantom power on and off. 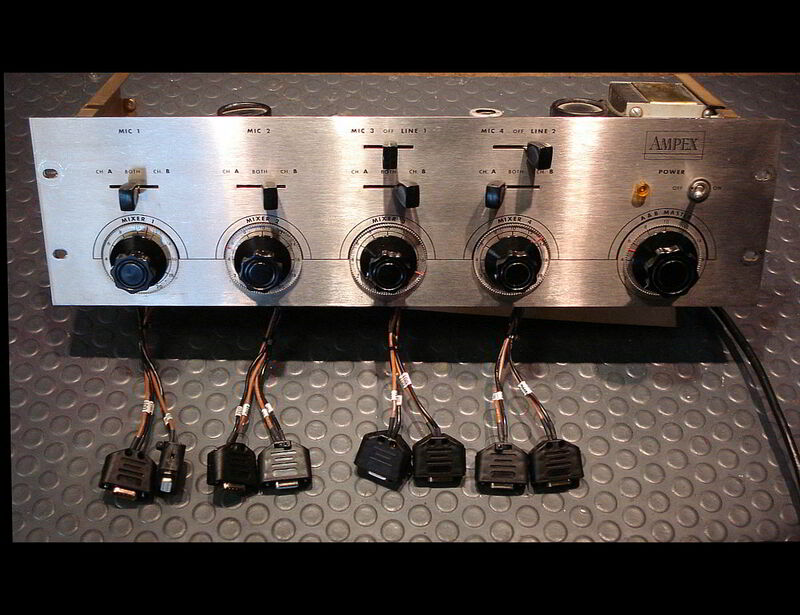 Discreet Opamps buffer the MX35 channel level controls and feed the vintage output transformers. 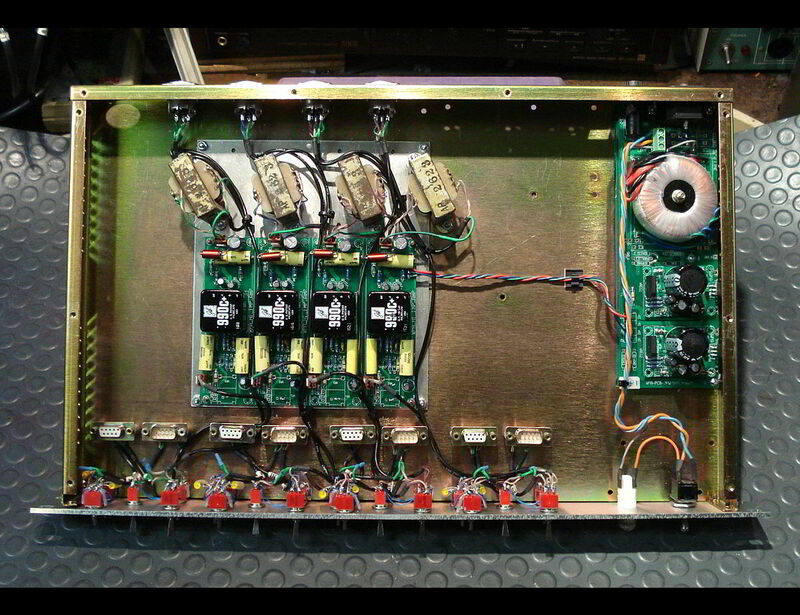 Power supply with toroidal transformer for zero induced hum. This connector system allows the MX35 and Extension chassis to be separated for service. 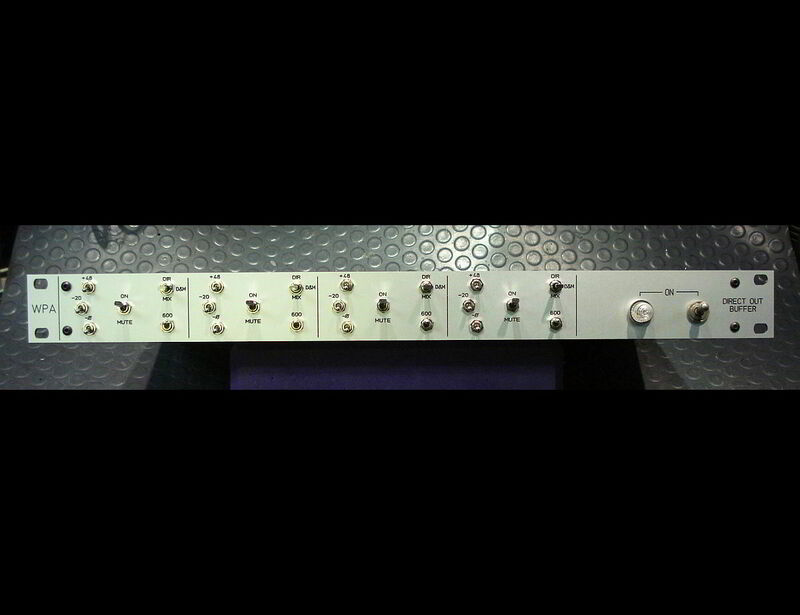 Another view showing MX35 intefaced to Extension Chassis with 9 pin dsub connectors. 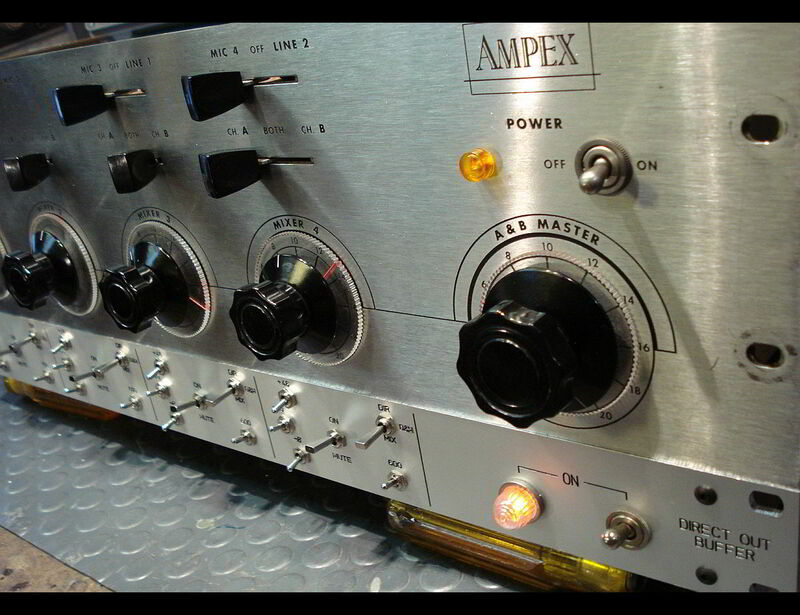 The Ampex MX-35 is a fine little mixer from the late tube era. 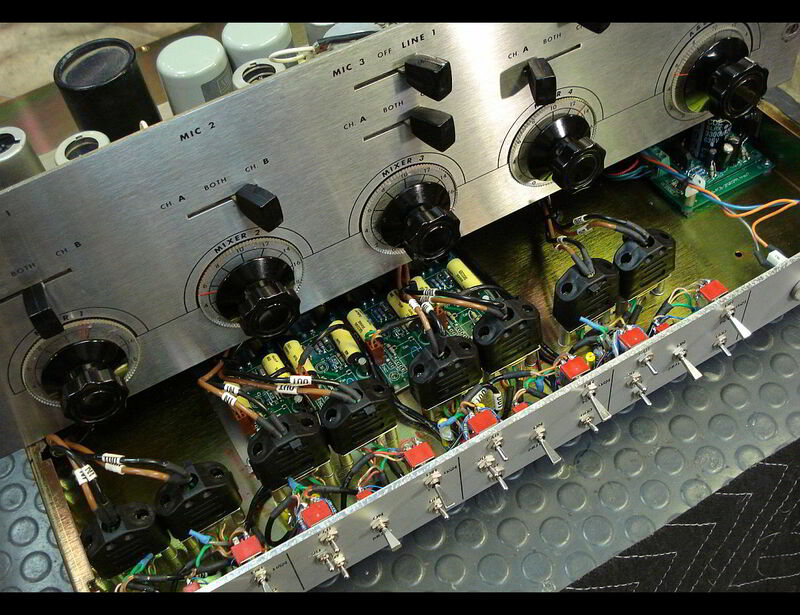 The circuitry is straight forward Class A (as are most tube circuits) resulting in an overall smooth, clean sound. The microphone input transformer is interesting in that it is very small...sometimes referred to as a “thumb” transformer. Usually a small transformer lacks low end response, as theory says it will saturate easily and thus attenuate peaks of low frequency signal. Somehow the thumb transformer in the MX-35 is able to pass low frequencies with minimal saturation. The saturation or loss of low frequencies is evident when the the signal from the mic is on the hot side, yet still the MX-35 manages to sound pretty good. A fine sounding little mixer to be sure, but it has it’s drawbacks. This Mod came about from customer’s requests to have a more complete set of mic pre controls added on to the MX35 to overcome limitations to actual practical use in music and sound recording. All 4 channels mix into either A or B outputs, or both, limiting usefullness in multitrack recording situations. There are no Direct Outs for each input channel.